I hope you will enjoy looking at some of the templates I design using Adobe Illustrator for Cameo, Craft Robo/ Silhouette, Cricut,Scan n Cut and other electronic cutting machines. 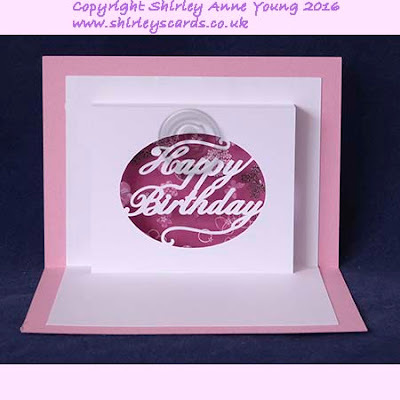 The templates can be purchased from my Design Store at craftsUprint. I shall also be regularly posting freebie files here on my Blog. It's been a while since I posted anything what with being away on holiday and then having to catch up with things. I have also been getting to know my new Cameo 3 and have to say that so far I am really impressed, it's a great step forward from my old faithful Cameo 1. 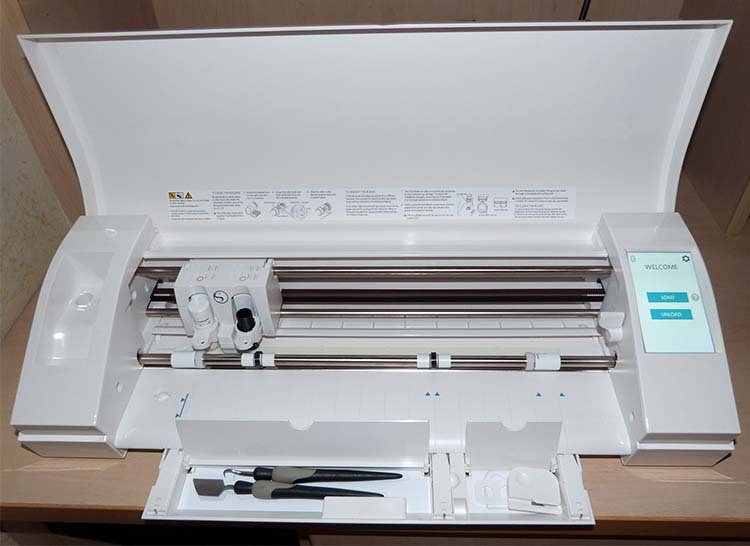 Best of all it cuts thicker card but I love the automatic adjusting blade and the dual carriage plus the small storage area is quite useful too as I'm always forgetting where I've put my tools !! Anyway on to the freebie. It's the first thing I've cut on my new toy and it's a popout card. I haven't decided what I'm going to put on the front yet but I hope you can make use of it. Please leave a comment/reaction if you download my files. Personal use only and please do not share, just add a link back to my Blog. Congratulations to you new Cameo! And thank you so much for your fantastic freebies! Am I green Nah!? Just glad you have a great new toy to play with. I look forward to seeing your makes with this new machine. Thank you for letting us know you use 180g paper for the cut. A GREAT file thank you. Thank you, Shirley for this beautiful cut file. I've been on the fence about getting the Cameo 3 as my original Cameo is serving me well (I never got the Cameo 2 as there wasn't enough of a change to warrant it...to my way of thinking). But yours is an opinion I'd take to the bank! Guess I better start saving my pennies! Thanks! And the popup is lovely. Thank you so much! This is so pretty. Thank you very much. I looked at the svg file but I really didn't see how to assemble the card. How do I make the card once I cut out the pieces? Congrats for you new toy, looks that you're enjoying it. I love this. Thank you! 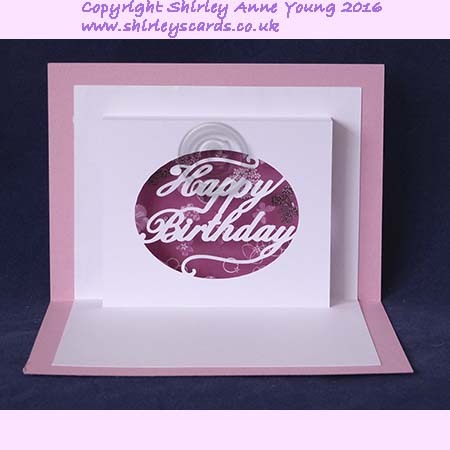 Shirley, Thanks so much for another lovely card! I can't wait to try it! Love this insert. Thank you so much. thank you so very much for these cards you are so very talented! Thank you so much for the fabulous Freebies. I have had a happy morning DL some of your beautiful design thankyou so much.